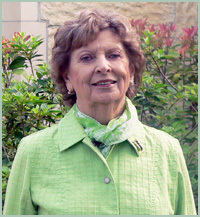 Rita Radley is a longtime civic volunteer from El Campo, Texas. 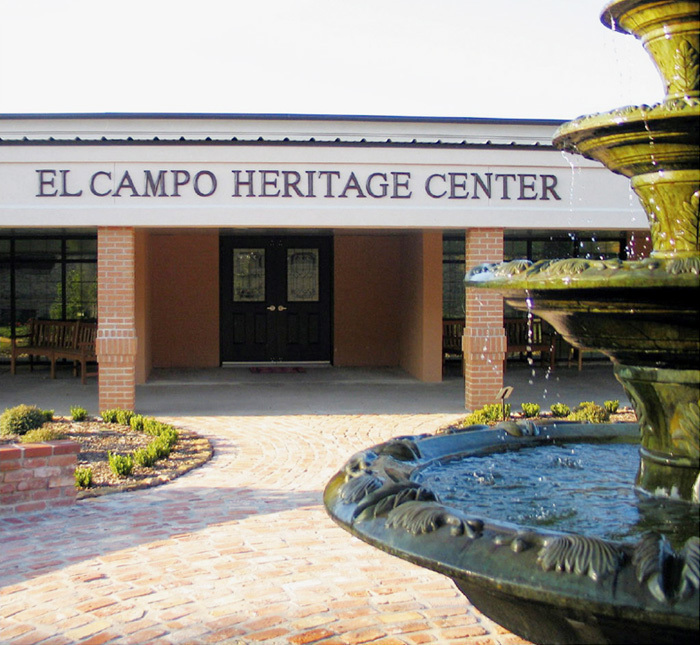 Rita’s latest project has been to turn an abandoned school cafeteria into the El Campo Heritage Center, the only place in town for seniors to meet, exercise, socialize and thereby maintain their mental and physical health. 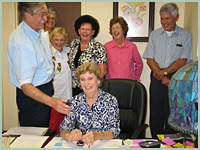 Since opening four months ago, the Heritage Center has operated only with the volunteer help of its members. The facility has many needs, but apparently library bookshelves take a priority. “Shelving is needed to house the many boxes of books which have been donated for the use of our 195 members.” wrote Rita on her application. 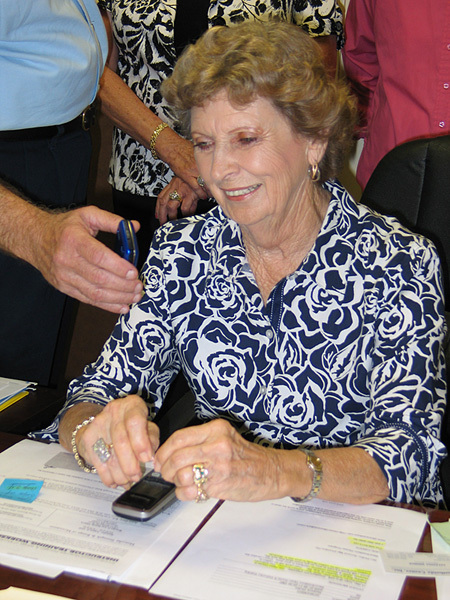 At 84 years old, Rita is very active in her community and is computer-savvy as well. 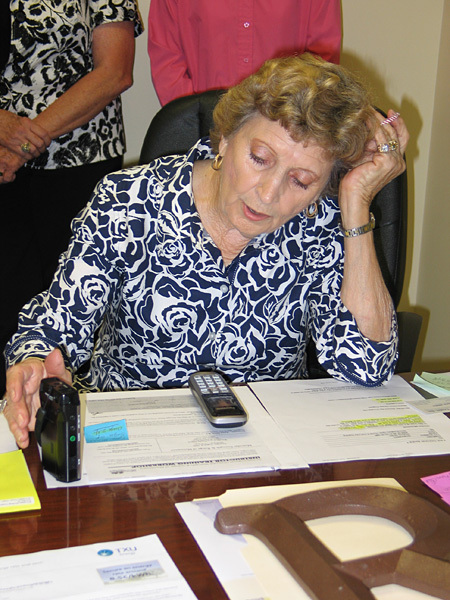 Rita also requested two laptop computers and two printers so that local seniors can learn how to use a computer. Fortunately, the El Campo Heritage Center is located next to a Boys & Girls Club, so the plan is for the seniors to help teach the kids to read in exchange for the kids teaching the seniors to use computers. 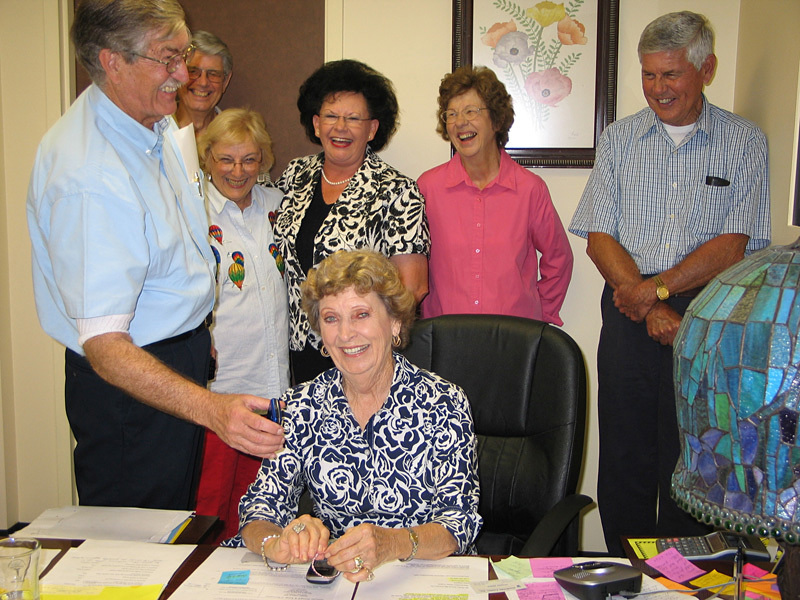 Besides being a volunteer at El Campo Heritage Center, Rita is also an elder in her local Presbyterian Church. "We have just last week had a donation of two used computer tables and chairs to go with them. My son purchased a building in town and the furniture was included. When he finally found out which pieces his renters would be needing he was able to let me have the small computer tables and chairs. 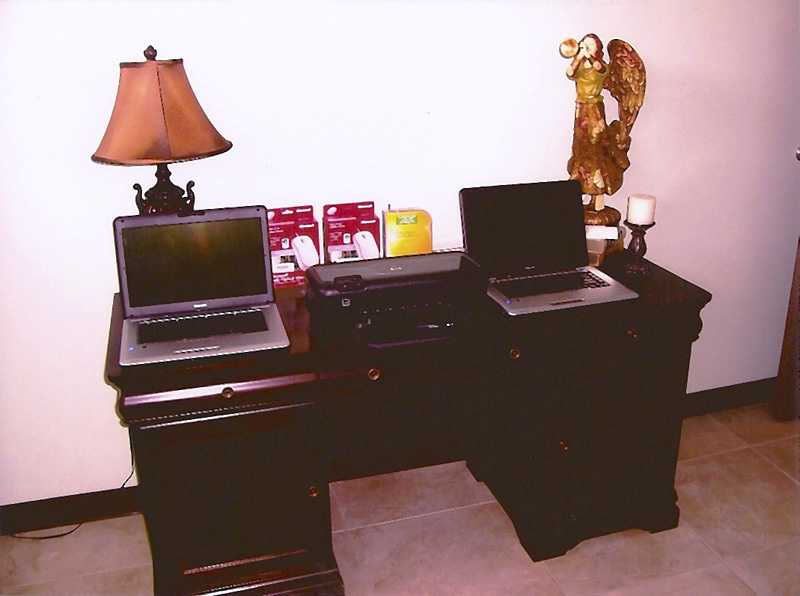 We set it all up and hired a computer geek to install the software and we are now in business. Some of the members who are computer literate and into geneology research have been enjoying them. 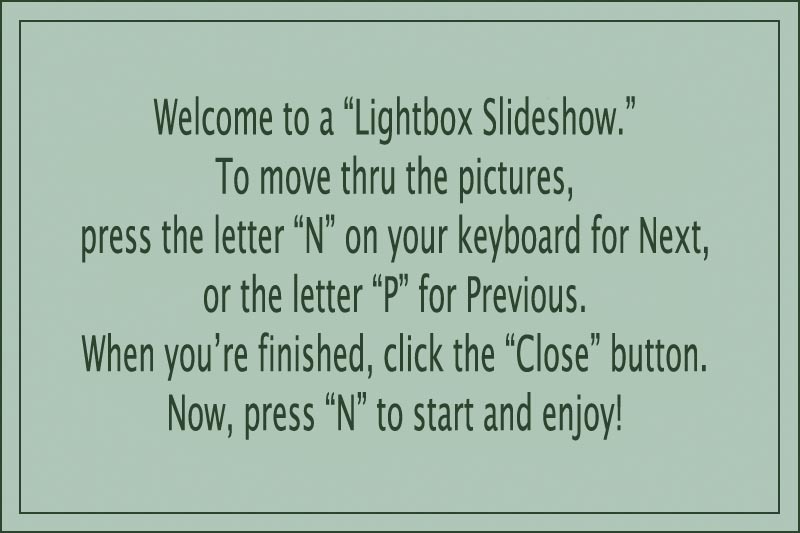 The latest newsletter informed the membership of the computer availability and invited them to sign up if interested in learning. So far I don't have a list but we will be talking to them at our luncheons and individually in order to interest them and insure them that it is not something to be afraid of. We now have slightly over 300 members for 2010 !! More men are taking an interest in the exercise machines and pool table and they may be interested in computers too, now that we have them ready for use. We are excited about having the library now complete." 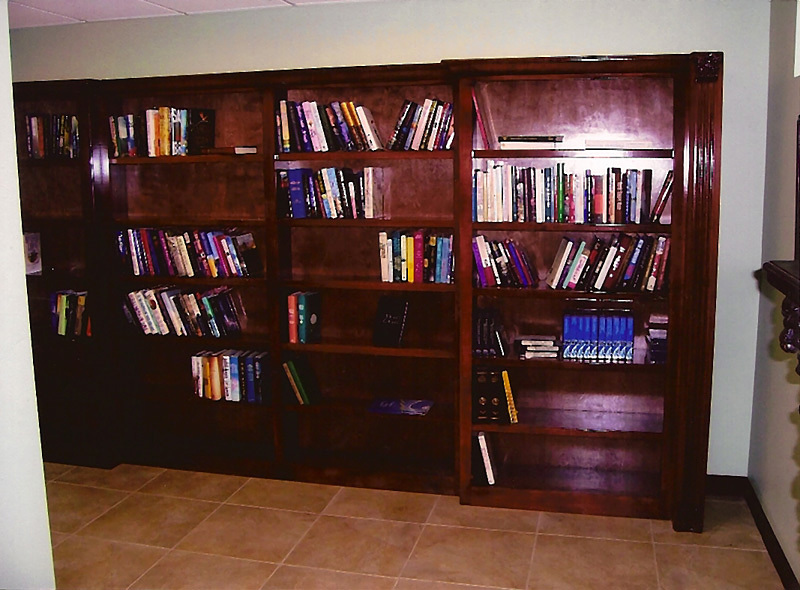 "The shelves are installed - I'll take a picture to send to you"... That's what Rita wrote on a fax she just sent over along with an invoice for the Hertitage Center's new custom built library bookshelves. That task completed, Rita is now busy ordering two new laptop computers and a printer. 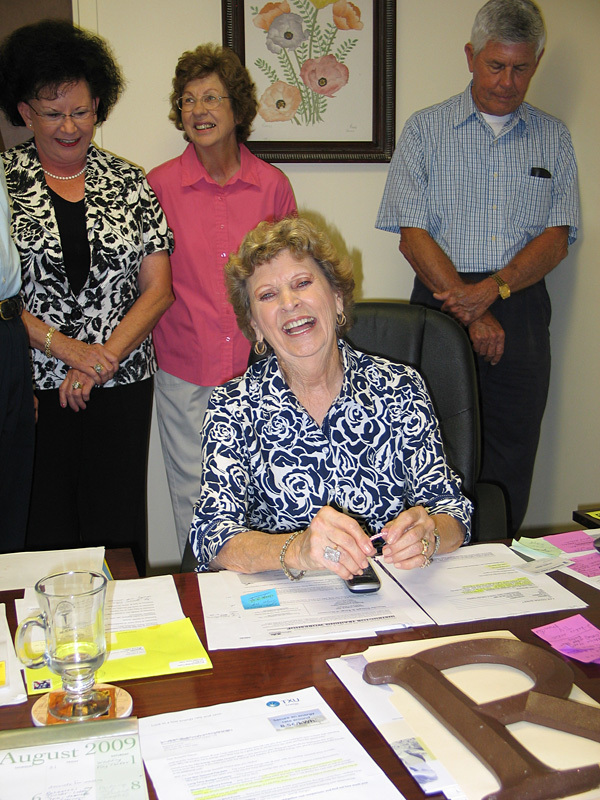 According to Rita, things are going great at the Heritage Center. They now have 285 seniors as members. Not all are active but the exercise machines get a lot of use and they also have two "Silver Sneakers" chair exercise sessions per week with at least 30 attending each session with a couple of leaders. Everything they do at the center is health related, benefitting both the mental and physical health of its members. 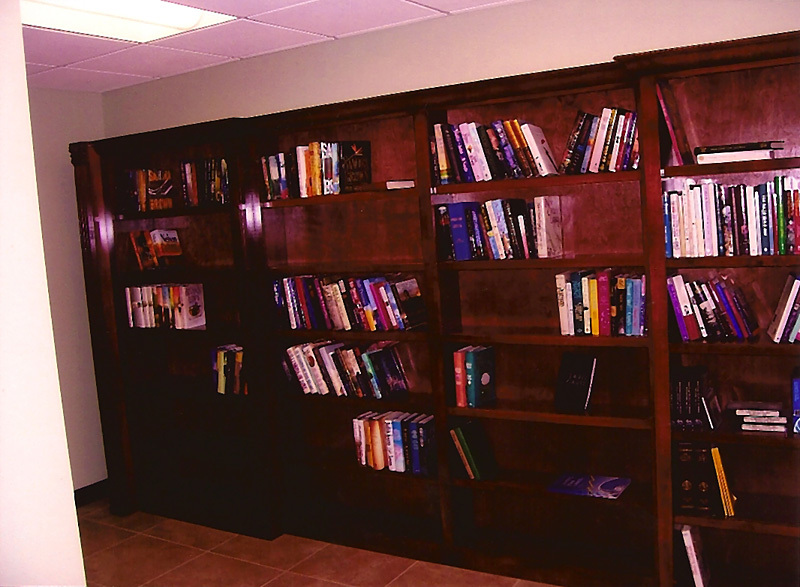 Rita has a local cabinet shop building the new library shelves for the El Campo Heritage Center. They should be ready for installation by the end of the week. 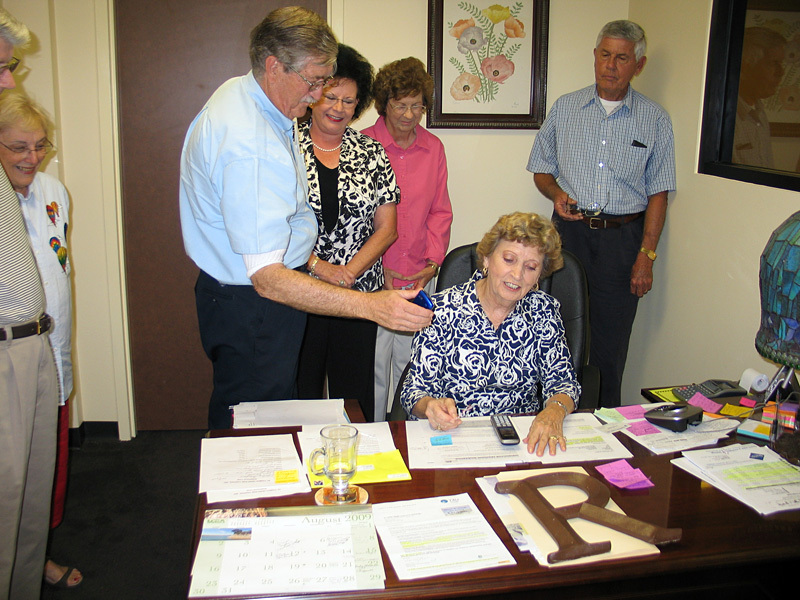 I was able to surprise Rita today with some help from retired college professor and fellow board member Joe Tom Davis who arranged a meeting of all the center’s directors to join Rita for my phone call. What a lovely lady and what a great sense of humor Rita has. She told me she grew up in El Campo and when I asked if she ever left, she said only during the war. “That was world war two,” she said and everyone in the room laughed. El Campo has a population of 11,000 and I think they were all listening to my call because the radio station was there and broadcast my conversation with Rita live on the air. I asked about her family and Rita, who is a widow, has two sons, one daughter, 10 grandkids and seven great-grandkids with one on the way in January! What a family reunion this would be. I asked about that and they are planning their first family reunion in February. I hope we get some photos. I couldn’t help mentioning to Rita that she is quite a glamorous woman, but more importantly, a wonderful role model for other seniors. 08/13/09: Jenny wrote... "Rita, bless you for dedicating yourself to your community. You're a great inspiration to other seniors (and me!) and I'm happy to help." 08/13/09: Damon wrote... "Hi Rita, Congratulations on becoming one of Jenny's Heroes. Thanks for everything you do to make your community a better place." 08/16/09: Anthony Solis wrote... "Rita, what a great vision you have for the El Campo Heritage Center to be able to have seniors learn more about computers, but most of all to be able to read and teach the little ones right next door in the Boys and Girls Club. You are awesome, Rita!" 08/19/09: Terri wrote... "Hi Rita, what a lovely lady you are! And, a great example of the fact that seniors need to keep learning and growing too! Keep up the good work..."
10/21/09: Liz wrote... "Rita, Your community must be very glad to have you giving of your time and efforts so freely. And your being computer-savvy must have played a large part in your even knowing this fabulous offer was there for the asking. Reading is so rewarding. I can't even imagine where we'd be without reading material. And what a great idea to have the kids teach the ways of the computer in exchange for reading skills. Good for you."